(Newser) – Bob Marley would be 72 Monday if cancer hadn't claimed him in 1981, and the Guardian has an appropriate celebration: It reports that a trove of recordings once feared damaged beyond repair has been restored in digital format after a year of meticulous work. The cache, consisting of 13 reel-to-reel analog master tapes, was found after it had spent more than four decades in a damp hotel basement in London. 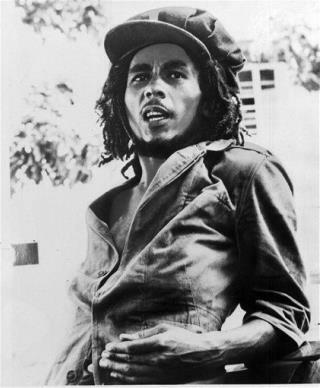 The recordings were made at live concerts between 1974 and 1978—when Marley was in peak form, notes the Telegraph— and feature classics such as "No Woman No Cry" and "I Shot the Sheriff." And the quality? "Genuine shivers ran up our spines with joy," says a jazz musician involved in the restoration. Obama a big Marley fan. Smoke a big doobie and celebrate. Even after decades of improper storage, analog tapes can still be played -- the recordings may be damaged, but there's still something there. Digital formats.... not so much. Lose too many bits, and they generally become unplayable.